Travel far and wide throughout the United States, and hardly anyone will have a kind word for popcorn ceilings. Also known as acoustic ceilings, they were popular in residential construction during the 1930s into the late-‘70s. Occasionally, a builder would add sparkles so the ceiling would twinkle at night in the incandescent lighting. Today, popcorn ceilings aren’t just out of style – they’re proven deal-breakers when homeowners who haven’t seen fit to resurface them list their house for sale. 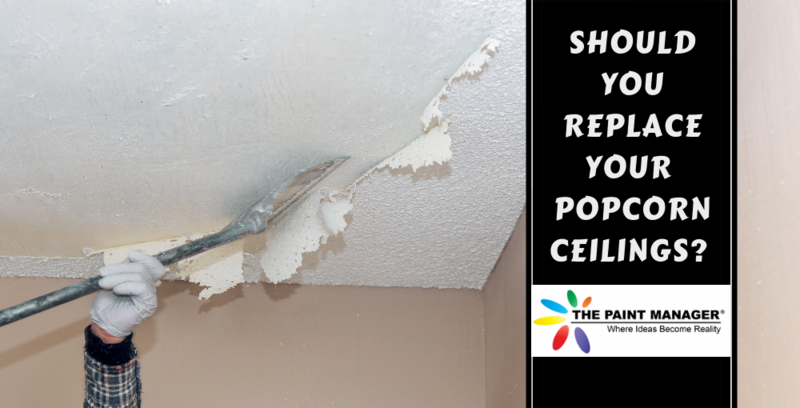 Which leads to our big question: Should you remove your ceiling’s popcorn surface and replace it with a smooth surface? If you plan to sell your house soon, and it’s in a desirable neighborhood, yes. If you’ve been happily ensconced in your home for decades, you may not realize how truly reviled popcorn ceilings are among contemporary homebuyers. Just watch the numerous home buying shows on cable TV and take note of the reaction when prospective buyers look up and catch sight of a popcorn ceiling. It isn’t pleasant. Characterized by their textured look by being sprayed on with a hopper gun using a special mix, popcorn ceilings were much more economical than hand-troweled plaster ceilings because the surface was quick to apply and hid imperfections – whereas plaster required painstaking application to achieve a perfectly smooth surface. When drywall took preference over plastering, the popcorn surface easily concealed the seams. The textured surface also provided sound-dampening benefits. Despite the wide time range of popcorn ceilings (the surface was reportedly still being used at the turn of the 21st century), their heyday was the ‘60s through ‘70s, during the boom of the suburbs. The bumpy textured ceilings always had issues, however. They trapped dirt and grime, and were difficult to clean without inadvertently dislodging some amount of the “popcorn.” Making ceiling repairs inconspicuous was likewise challenging. The downfall for popcorn ceilings came when the danger of asbestos became well known. A popcorn ceiling that contains asbestos doesn’t pose a hazard as long as the ceiling isn’t disturbed. However, many people don’t want such a dangerous substance in their home, and aren’t willing to take the risk. Also, in Central Florida, homes are more susceptible to structural damage during hurricane season. A tree crashing through the roof of a home with a popcorn ceiling containing asbestos will release it into the air, after which it will settle on interior items and the floor. To determine if your popcorn ceiling has asbestos, forgo the approach of taking a sample yourself, and call an EPA-certified remediation company to do the job. Should the report come back positive, do not attempt to remove it yourself. This is not a DIY project. 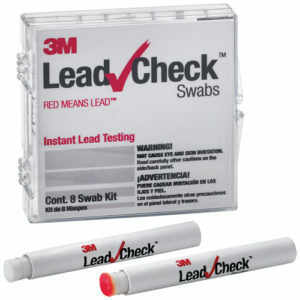 Risking your life – and the lives of your family members – isn’t worth saving the expense of professional remediation. Even an asbestos-free popcorn ceiling can be undesirable simply because it’s outdated. Thanks to changing consumer taste, their advantages are overlooked – much the same as homebuyers expect stainless steel kitchen appliances and turn up their nose at perfectly good white or black appliances. One advocate for popcorn ceilings is “Steve,” an agent with Crossland Team Real Estate, Austin, Texas. His blog post on the topic is a practical take on their unappreciated positive qualities and the motivation of so many to scrape and resurface them into smooth oblivion. Removing an asbestos-free popcorn ceiling is typically recommended for the experts on the basis of labor and time. Such ceilings are throughout the entire house, save for kitchens and baths. Tackling the job yourself may be practical if you’re highly experienced in home renovation projects and bought a “fixer” to rehab, and you don’t intend to move in immediately. For the DIY enthusiasts, YouTube offers numerous step-by-step videos on the removal process. Otherwise, hiring a home renovation contractor to do the removal and resurfacing is the more practical – and ultimately economical – approach. 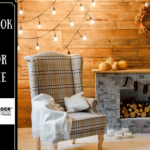 The Paint Manager offers experienced popcorn texture removal and replacement with an even, smooth surface that reflects quality craftsmanship. Contact us to learn more and schedule an appointment. While we usually leave our call-to-action message for the end of our blog post, here’s some helpful advice for those who choose to carry on. 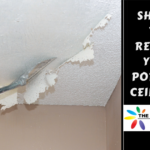 For the “Steves” out there who love their popcorn ceilings – or don’t have the budget to replace them – DIY repair is possible, as long as you’re sure they don’t contain asbestos. Popcorn ceiling repair products are available at any home improvement center. First, scrap the damaged area about one inch larger than the repair needed. Sand, wipe with a damp cloth, apply a stain blocker and let it dry thoroughly. Then apply the ceiling patch product according to manufacturer’s instructions. Apply only one coat at a time. Let the area dry completely before applying another coat. Keep in mind that no matter how carefully you do the repair work, it is difficult to match the original ceiling texture. 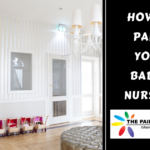 No matter which choice you make about your popcorn ceiling, The Paint Manager is always available to take on the home renovation projects you need, with conscientious, experienced service. If you don’t feel confident in making a DIY repair, we can help there, as well! No job is too small for our home repair experts. Planning a kitchen remodel? You already know that most of your budget will be claimed by replacing the cabinetry. But if the existing cabinets in your home are solid wood and in overall good condition, they can be refinished with stain for an updated look at a fraction of the cost. Before rushing in, however, there is much to consider – starting with whether you should do it yourself, or hire a pro. The DIY approach can be successful if you have experience and confidence in your ability to take on mid-level to major home improvement projects. As we always caution here, don’t let your enthusiasm for cable TV house flipping shows make you think you can do likewise if you’ve done nothing more complex around the house than change lightbulbs. 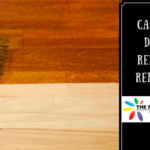 In addition to expertise, staining a kitchenful of cabinets will demand a good deal of time. This includes such prep work as removing handles and other hardware, removing doors, stripping the existing finish, sanding, etc. You may not be willing or able to dedicate evenings and weekends to the project, which also will impact your kitchen’s function to some degree. 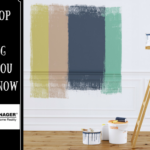 For those who want to learn more about what’s involved in staining cabinets to help you decide which route to take, The Paint Manager offers our helpful DIY resource page, which provides answers to common questions, as well as links to DIY videos and other tips from the experts. An even more up-close look at the entire cabinet finishing process can be seen courtesy of The Idaho Painter. Should you decide to leave the work to the professionals, it’s still a good idea to be familiar with the basic products so you can make informed choices. Start with the stain itself. There are three types: oil-based, water-based and gel. Minwax provides a comprehensive guide to staining, which includes a chart of stain products, their characteristics and best uses. Your paint contractor will be able to tell you which type is recommended for your cabinetry, and why. You don’t have to compromise your safety – Doing the project on your own entails some risks. 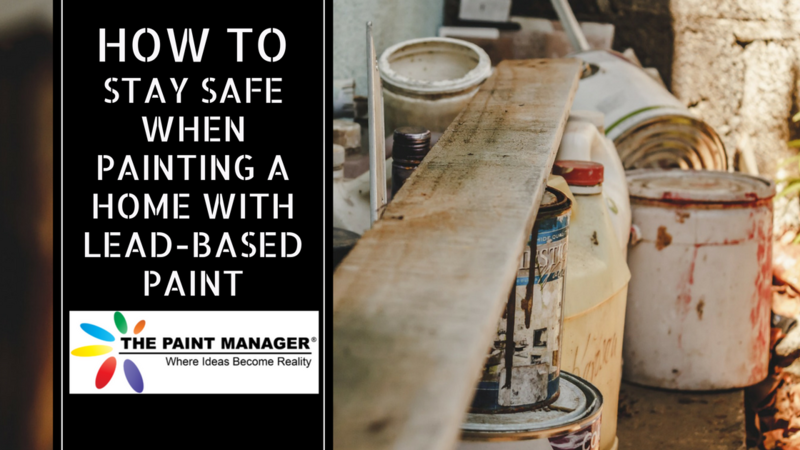 From the step ladder and tools to wood dust and volatile fumes, the project can be hazardous if this is your first cabinet staining rodeo. Professional contractors have the right tools and expertise, and also know how to properly ventilate the space so that it doesn’t become hazardous for occupants. 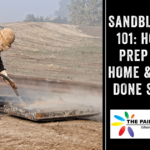 Quality prep work – The casual do-it-yourselfer may not consider the amount of preparation required before even opening the first can of stain. Please re-read the third paragraph of this blog post for a (very) general outline of the labors that doing a thorough job of the necessary prep work involve. 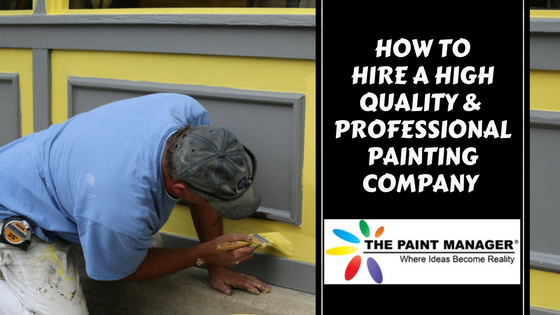 A professional paint contractor performs each step, in the correct order, to ensure beautiful results that will last for many years. 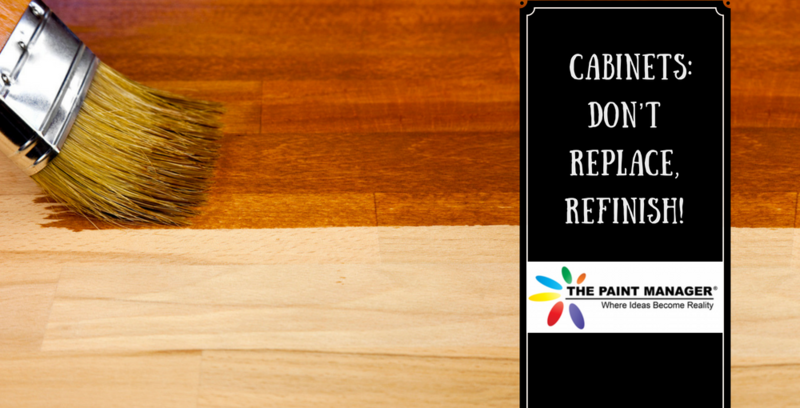 Top-quality results – Professional paint contractors have great experience in applying stain evenly to bring out the wood grain and achieve consistent color on all cabinet surfaces for a custom appearance that will make you proud of your kitchen again. Relatively quick job completion – Several factors – such as the size of your kitchen – will affect the amount of time the project will require. 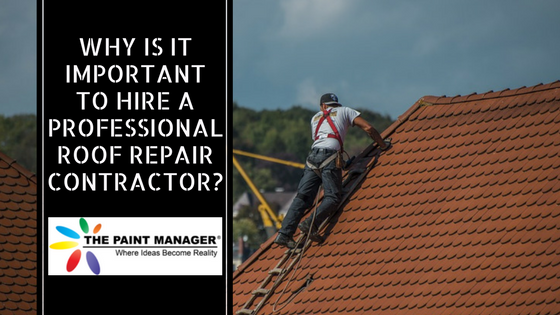 However, hiring a pro means the job will be done in a few days, rather than a few weeks – or months – as would be the case with doing it yourself. Your kitchen will be fully functional much sooner, and you and your family won’t have to work around disassembled cabinetry, vinyl sheeting partitioning off work areas or the persistent odor of wood stain stripper for what will seem like an indefinite period. Contact us at The Paint Manager to bring your old wood kitchen cabinets back to vibrant new life! Your front yard is vital in creating the first impression people get about how well you keep up your home. However, yard maintenance is not an easy task. Case in point: trimming shrubs. Depending upon the size of your property, your schedule and your physical capability, hiring a professional yard or lawn service can be the best approach to keeping shrubs and hedges well-groomed, healthy assets to your home’s curb appeal. In addition to creating an attractive appearance, there are practical reasons to make sure shrubbery is in good shape, so to speak. Trimming is important to the plant’s health, ensuring it gets enough sun and encouraging growth. Trimming is different from pruning, which is done to eliminate dead, broken and infected parts of the plant. Pruning shrubs regularly helps promote healthier shrubs that produce more blooms. If your landscaping is new, it’s much better to start pruning shrubs when they are young, then do minor annual pruning. If you allow them to become overgrown, they’ll end up needing major renewal pruning, which – assuming you hire a service – will be even more expensive. Black + Decker’s website provides an informative guide to shrub trimming. (For the adventurous, there’s even info on “How to Make a Topiary.”) Despite being written for the do-it-yourself, the article includes helpful basics that everyone should know. For those who may be entertaining the thought of going the DIY route, learning about the specialized equipment involved may tip you toward hiring a service. 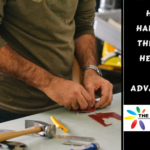 There is great deal of difference between a professional approach and the DIY way of doing things – unless, of course, you are qualified enough for the job and own the right equipment. In making a list of the advantages of hiring a yard or lawn service, equipment is a good place to start. Yard and lawn care services have all of the proper tools and equipment to do an expert job in trimming and shaping shrubs. In the hands of an experienced landscaper, these specialized pruning tools, saws and power trimmers create a uniform, beautiful effect for the perfect manicured yard. A professional service regularly maintains its tools, keeping them in good working condition, and stores them appropriately. There’s no getting around the fact that yard work is hard work. Even lightweight hedge trimmers are heavy and unwieldy, requiring a great deal of physical effort to use. 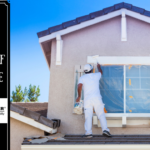 Florida’s triple-digit summer temperatures make the job especially hazardous, necessitating performing it in the early morning or early evening for those insisting on the DIY route. Overexertion leading to illness, heat exhaustion or heat stroke are possible health hazards. Also, the more birthdays we celebrate, the more mindful we need to be about not overestimating our stamina and assuming we can still do what we once did easily in previous years. Professional landscapers are trained to do their job safely. For those who don’t do so on a regular basis, climbing a ladder to reach the top of a hedge, wielding a power trimmer or using a small curved saw can be hazardous. Hiring a yard or lawn service could save you a trip to the ER. A professional yard or lawn service may include clean-up of plant debris in the price of trimming. Be sure to discuss waste removal before hiring a service. Also ask if the service will remove the bags of debris, or if they will be left curbside for yard waste collection day. Some municipalities charge extra for bags of lawn waste that exceed the permitted limit, so check your local regulations first. When you hire a professional yard or lawn service, you can spend quality time with your family and friends instead of spending time on landscape maintenance! 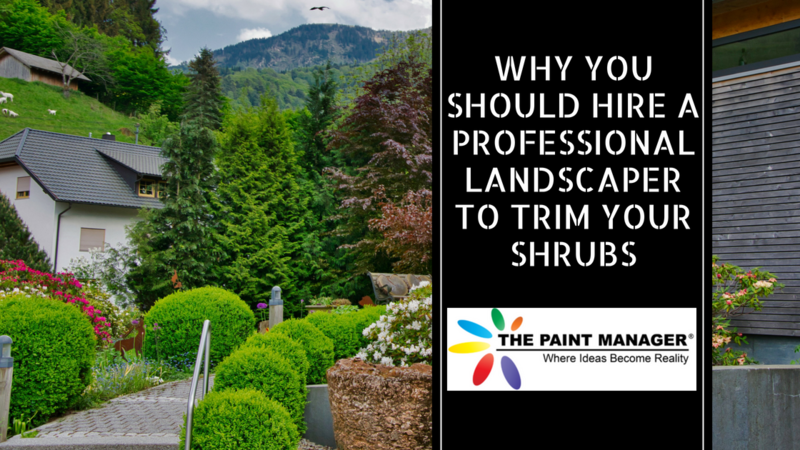 The Paint Manager is well-experienced in such yard maintenance jobs as shrub trimming, and has been serving Central Florida homeowners since 2000. Contact us today to learn how we can make your yard an inviting place of beauty for your family and friends. Let’s accept it, first impressions make a difference. Don’t you try to look your best when you go out on a first date? Or, do you buy clothes that don’t appeal to you in the first place? In fact, you always want to look impeccable and you can only buy stuff that creates a good first impression. Likewise, when you plan to sell your house, first impressions make a huge difference. People spend so much money on the upkeep and appearance of their home’s interior, but do you make sure that it looks attractive from the outside as well? If not then you should start paying attention to your home exteriors, as it improves the curb appeal of your house. In fact, what people get to see from outside either makes or breaks their impression. The same is true for your home as well. So, what exactly is the curb appeal? Curb appeal is a term generally used by realtors to evaluate a house or property that is up for sale. It is the attractiveness of a house or property when seen from the street. Interested home buyers first see a house from the street, and if it appeals to them, then they ask the realtor to move forward. 63% of prospective home buyers will come by to visit a house only after they like what they see online (National Association of Realtors). This clearly means that the house they see from outside should generate sufficient interest among the potential home-buyers in the first place. What do they see from outside? The front entry, driveway, sidewalk and yard. Your home’s exterior should have the capacity to attract prospective home-buyers and bring them to the table for further negotiations. Hence, the home exterior is the first thing that you need to work on and improve if you want to sell your house at a decent price. Start thinking like a buyer – The first thing that you need to do is start thinking like a buyer. Grab a notepad and pen, and walk around the exterior of your home with a hawk eye to find out what could annoy a potential home buyer. Make note of things that you think needs replacement, repair, or cleaning. Take your car and drive down the street on both sides of your house, both during the day and night. You might just see a few things on the roof that you must remove, or a sidewalk that needs repair. Make sure your address number is visible, clean, and tastefully depicted – Address number is a small thing which many people tend to overlook, but has a tremendous effect on everyone who enters your home. If you write your number differently, then it generates more interest among prospective home-buyers. For example, if your house number is 428, you can write it as “four2eight”. Written numbers are a more stylish form of displaying your address. Ensure that your roof is clean and spotless – Many people think that a clean and spotless roof doesn’t improve the curb appeal of your home. That can’t be further from the truth. It creates a negative impact on the image of your home. Therefore, ensure that your roof is clean, free of streaks, and does not look dingy. Also, make sure that your roof isn’t missing shingles. Once you plan to sell off your house, see to it that your roof is cleaned, pressure washed, repaired, or replaced. Make your front door attractive and eye catching – Front doors are another thing that influence home-buyers. An attractive, eye-catching front door can impress your prospective buyers, and raise the value of your house. Make the entrance of your home more stylish. Paint it a bold color, and don’t forget to place a new cheery welcome mat in front of the entrance. Repaint the trim and shutters, and get a new mailbox – When you are repainting your front door, don’t forget to redo the trim and shutters. Also, try a new mailbox for your home. If yours is damaged or weathered, it could detract from the overall aesthetic. 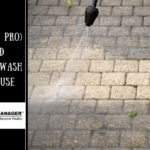 Get your sidewalk, driveway, and deck pressure washed – A dirty driveway, sidewalk, and deck can act as a spoiler for people who plan to buy your house. 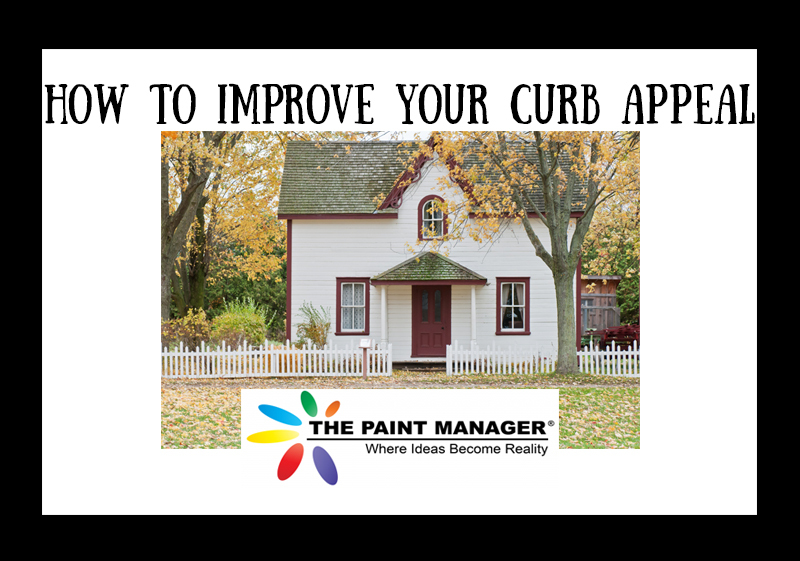 This is another important thing that you can do to improve the curb appeal of your house. Get your driveway, sidewalk, and deck pressure washed to make it sparkling clean. Don’t forget that someone’s first impression at times turns out to be their last one. This is not just cost efficient, but it is also very effective. 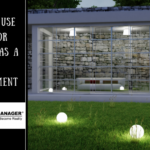 Light up your porch, walking path, and landscape – Putting up lighting fixtures at the right places can bring out the best of what your home has to offer. Use them to draw the buyer’s eye to the most interesting aspects of your home, and away from the mundane parts. Place flower pots in front of the entrance – There are many plants (in a flower pot, of course) which you can place in front of your entrance. Put the flower pots in a symmetrical fashion, and spruce up your front yard with seasonal flowers. Get your home exterior painted – If you think your home’s exterior is worn out, then get it repainted by a professional painter. A freshly painted home exterior can be your best tool, in finding a buyer and receiving more offers. Freshly done up home exteriors can greatly improve the curb appeal of your house, but it is not all that easy to spruce up your home exteriors in a jiffy. 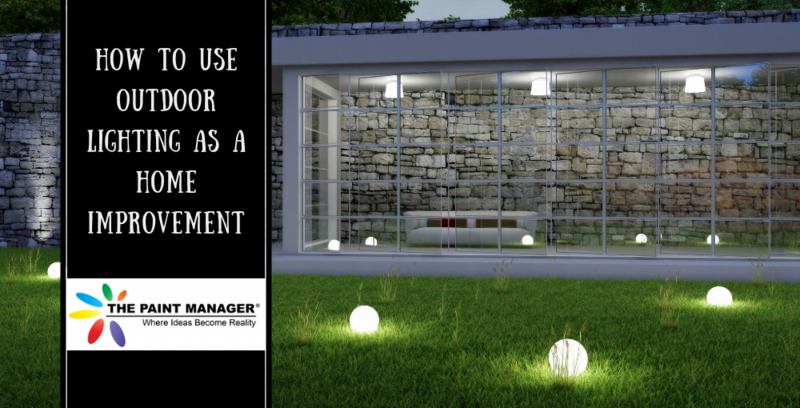 You need a lot of time, innovative ideas, and executional capabilities, besides experienced and trained manpower to change the face of your home from outside. It is always advisable to hire professionals to improve the curb appeal of your house. Get in touch with The Paint Manager and make your home exteriors look attractive. From repainting your home exteriors, pressure washing your sidewalks, driveway, and decks to the installation of a new mailbox, redoing your front door and roof cleaning, professionals at The Paint Manager are capable of providing a facelift to your home’s exterior just the way you would love to see it. Most importantly, you should consult professionals at The Paint Manager for innovative ideas that can improve the curb appeal of your house.